We love this pan! 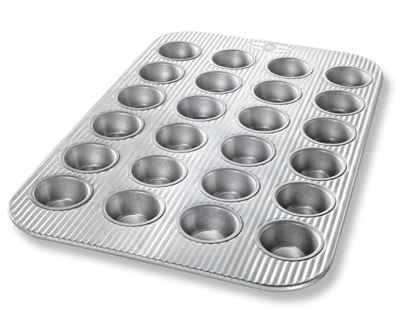 Made of aluminized steel, the thickness of this muffin pan allows even heat distribution and maximum service life. It is non-stick, too.